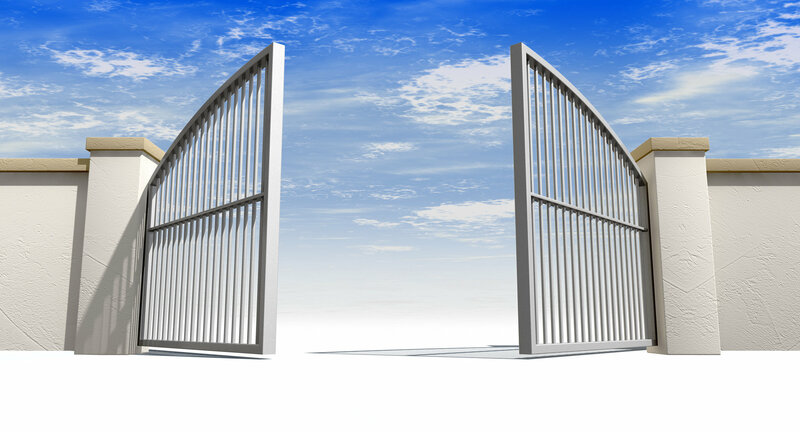 Recently a series of seemingly unrelated events occurred involving Gatekeepers. Do they still exist or not? The first incident involving the reality that Gatekeepers absolutely still exist happened with entertainer and music performer Azealia Banks. She got her twitter account suspended for making remarks which, the twitter audience deemed to be inappropriate. That's an interesting decision for the twitter audience to make, considering that ... it's Twitter! (Read Azealia Banks Vs. The Business). My assessment of what happened ultimately is, this is a false flagging situation. Many of the large websites use flagging systems to monitor their websites. What ends up happening all too often is, if people do not like what someone is sharing on your YouTube channel, or Twitter account - their accounts can be shut down. We're deciding all the time what we will accept or allow. This is true whether it's social media, or print media. We decide what stations to tune into. We make up our minds on what we decide is an important issue and what isn't. Society at this point in time is a well oiled machine. It has taught us how to keep our own selves 'within the lines'. It has even suggested that we continue drawing more lines, and more boxes to put each other in. But I digress. The reason I'm even speaking on Gatekeepers is because of an excellent video by Professor Devin; who was responding to an Interview by Gary Vaynerchuk on The Breakfast Club. You can and should watch his comments when you get the opportunity. Also, check out Gary Vaynerchuck speaking on White Male Privilege - as it's an amazing and rare moment, where you will hear a white male admit to having a leadership role in society already created for him, upon birth. He is one of the most respected minds in business, so to hear him admit this quiets all debate on the subject. He even sorta admits near the end that, there 'still are some Gatekeepers' - but that many of them are loosening the reigns more and more. That's really all that's been happening. Many people will tell you that slavery simply morphed into modern day capitalism. The plantation became the corporations that now, run most of the industries in America, which we all work for. They pay us just enough not to quit; while we work just hard enough not to get fired. That's one of the main reasons many of us turn to Network Marketing and Entrepreneurship - we want to break 'free' from the system. The only problem most of us come to find out is, even network marketing is 'part of the system' - where we keep each other in check. Family, Friends, and that Stranger you met on a social network who tell you that you cannot make money like that, become the gatekeepers. They won't support you, won't buy from you, but are standing in line to buy Jordans. They've never met Michael Jordan, Phil Knight, and don't even own Nike Stock. So much of why this happens comes down to mindset. The ideas we get from our parents, and grandparents. It's the environments we grow up in, and all the influences around us in them. So while there is a lot of GOOD in what Gary V has to say; even when he speaks on there being no Gatekeepers; we as black people in business often have to overcome the bad ideas that were put into our culture. Visit The Black folder to learn more about OUR story; and OUR path. You can also watch that awesome Video from Professor Devin, and so many more. Meanwhile, here's that Breakfast Club Interview with Gary Vaynerchuk now.